Capital Veterinary Specialists, JAX offers cutting-edge, minimally-invasive techniques for diagnosis and treatment including arthroscopy, laparoscopy, cystoscopy, bronchoscopy, rhinoscopy, ultrasonography, and cardiography. In keeping with our commitment to staying on the cutting-edge of advancements in diagnostics and treatments, Capital Veterinary Specialists JAX is proud to announce the addition of the new Samsung RS80A with Prestige Ultrasound Imaging Unit to the hospital. 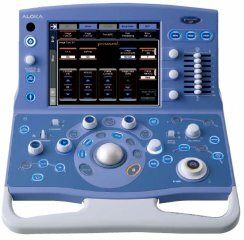 This is the Next Generation Ultrasound for Radiology. The state-of-the-art capabilities of the RS 80A with Prestige are built upon the successes of Samsung technologies, including superior imaging quality. 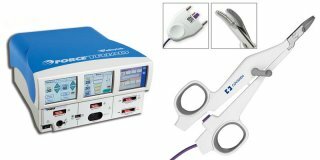 The RS80A delivers consistent high-resolution images resulting in diagnostic confidence for our patients. This high level of imaging is enhanced by a comprehensive of 3D technology suite with 2D, 3D and 4D transducers and features Realistic VueTM. These technological advances allow for 3D visualization in high resolution of anatomical structures with exceptional detail in our patients. This is by far among the most advanced ultrasound imaging unit available for veterinary patients from Samsung and was recognized as an Industry Design Leader. Our doctors are happy to continue offering the state-of-the-art in diagnostic services with this Ultrasound Unit.